Royal Pingdom threw together a neat list of all the key acquisitions that have helped tech companies. 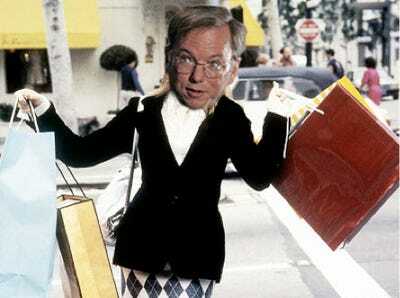 With Google on a big shopping spree, this list is particularly insightful to look at. Flash – was Macromedia’s product before Adobe bought Macromedia in 2005. Dreamweaver – was Macromedia Dreamweaver. Adsense – came out of technology from Applied Semantics, which Google bought in 2003. Adwords, Google’s other big money maker, is also based on an idea from outside Google, although that company (Idealab) didn’t want to sell it, so Google went ahead and created their own version regardless and settled the IP issues in court. Google Analytics – was Urchin, until Google bought Urchin Software. Blogger – was created by Pyra Labs, which Google bought in 2003. Google Docs – the word processor in Google Docs came from Writely, an app created by Upstartle which Google bought in 2006. Google Spreadsheets, another part of Google Docs, originated from technology bought from a company called 2Web Technologies. Android – Google’s Android OS began life at Android Inc., a company Google bought in 2005. Hotmail – was bought by Microsoft in 1997. Powerpoint – came out of Forethought, a company Microsoft bought in 1987 (its first acquisition ever). Visio – was its own company before Microsoft bought it in 2000.